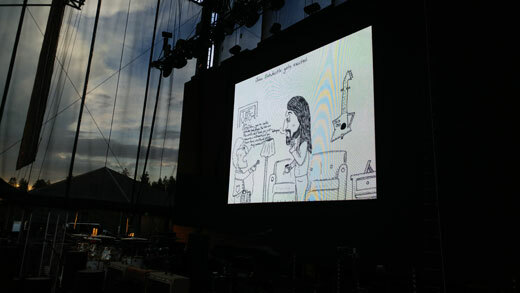 The Boy Who Heard Music.com is a website dedicated to celebrating the music of Pete Townshend and The Who. Pete Townshend, Roger Daltrey, John Entwistle, and Keith Moon merged their four unique personalities to form the greatest rock 'n' roll band in the world - The Who! There are many wonderful websites on the Internet dedicated to the music and history of The Who and the wild, passionate, and creative lifestyles each of the band members live or lead. 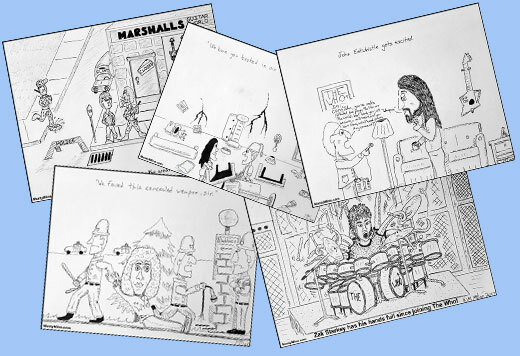 I decided when designing The Boy Who Heard Music.com that I wanted this site to reflect the influence Pete Townshend and The Who had on my life. It is quite enormous, as I think think you will see. Silly, sad, serious - just like life itself. Designing this site had one awesome benefit that I hadn't planned on: it took me for a trip back through my own personal history and life. Old, forgotten memories were unlocked, and most on them are good. Enjoy The Boy Who Heard Music.com. I hope this site will grow over time as I unearth more memories and artifacts related to Pete, Roger, John, Keith, and The Who. Breaking News as of July 2017! 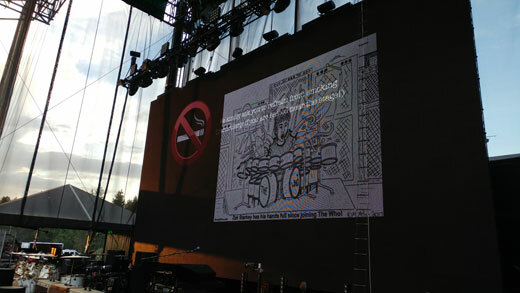 The Who are using my The Who cartoons are part of their concert experience! 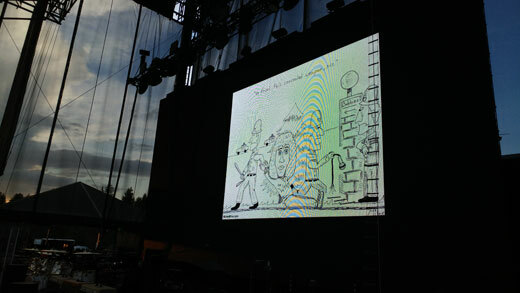 Here are some images of my cartoons in action as part of "The Who celebration" slideshow played right before The Who took the stage at Harvey's in Lake Tahoe, Nevada on August 16, 2017. All artwork, images, and poetry © Monty Milne 1986 - 2017. All Rights Reserved. No images or poetry from this site may be used without a written licensing agreement from Monty Milne.